They had 181 women with young children take a survey specifically designed to test the degree of the mothers’ adherence to “intensive mothering beliefs” – i.e. the general notion that a woman should ideally devote her ideally herself heart, body and brain to her children, at each and every moment of each and every day. Can you spot the errors? 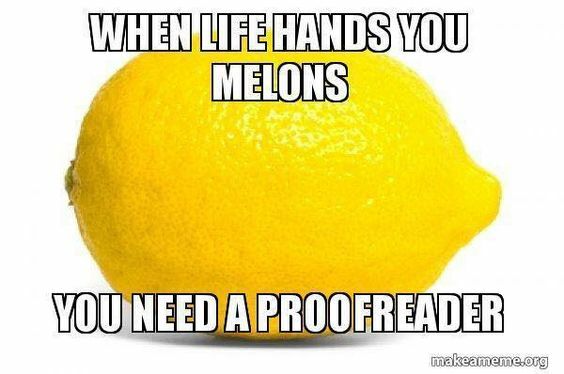 I sure can and it's probably not because I am a professional editor. It is simply because I can read. There are two types of authors who feel the strong temptation to skip the editing stage of writing: 1) New writers who are short on funds and 2) experienced authors who think they don't need editing anymore. Both of these authors are wrong. 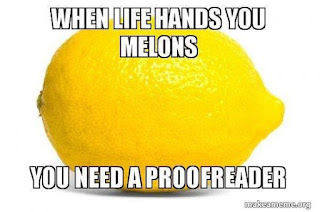 Yes, spell check and Grammarly are awesome. Yes, many writers are professionals who are good at what they do. But we are all human, and software can only check so much. Whether you're writing a positive affirmations self-help book or a high-fantasy epic, you need an editor, potentially more than one. This remains true whether you're on your first book or your twentieth. Now, here's the good news. You have resources to find an editor who is right for your genre and your level of experience. Not all editors are the same and finding the right one is key. There are many places to look for editors, but here are some of the big ones. GURU/UPWORK: These sites are freelance hiring services where you can search for service providers at the price point you want. These are both excellent sites with straightforward billing and dispute-resolution services. But there are a lot of freelancers on this site from all over the world, so it may be difficult to sort out who is right for you vs. who is in your target budget. Reedsy: Reedsy is a dedicated service for indie authors. They have editors, graphic designers, and publicists, all of whom have to submit a body of work in order to be listed on the site. There are also a variety of price points, but less wide than Guru or UpWork. Typically, you'll look for an editor within in your genre and ask for a quote from up to five editors. They will often send you a free sample and tell you what they will do with your work and what they will charge. Then you can choose the best one. Be advised, the price they quote does not include Reedsy's fee. I use Reedsy myself for editing and for metadata/advertising and have been very pleased. First Editing: First Editing is just what it sounds like, editing services for all types of writers. All editors on the site are professional editors, some of them with doctorates and you have a full-time customer service staff to help you choose what level you should do, sort out any disputes and, if it comes to it, you can be assigned a new editor if you're displeased with what you got back (at no extra charge). The great news is the level of service and flexibility. The bad news is it can be more expensive than Guru and UpWork and probably more expensive than Reedsy (depending on your word count and type of editing). The good news is you can get samples and quotes from all these services to see who works best for you. An additional bit of good news is you can also request a quote from me so you know who you're dealing with. Editing is an expense, but it doesn't have to be stressful. On the contrary, it should help you become a better writer over time and help you better predict what your readers will love. We should all ideally devote our ideally ourselves hearts, body, and brain to proper use of the English language at each and every moment and every day.